As we have every year since 1975, my father, brother and I are at the Long Beach Grand Prix. And much to my dismay, this will be the last time that it hosts the Formula 1 circus. Strolling by myself through the packed Vendor Row, I am handed a free issue of some magazine called On Track. It has a cool photo of Niki Lauda on the cover, and since he’s one of my faves, I start flipping through the pages. Towards the back, after all the articles on F1, IndyCar, Le Mans, Sebring etc., there is a single page article with two photos; one that shows a rally car jumping a sand dune, and the other of a solo motorcycle rider blazing across a dusty, barren plain. The complete, utter solitude of the rider catches my eye. For a looong moment, I stare hard at the photo, envisioning his isolation, before I finally glance at the article title. 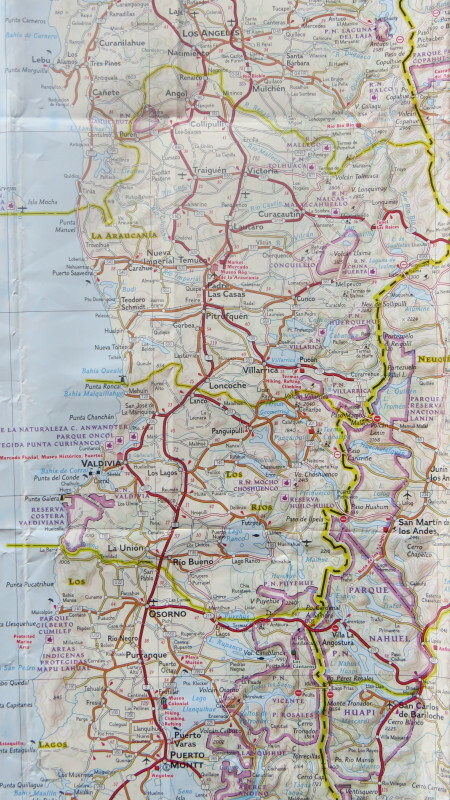 “Paris to Dakar Rally, Week 2 Report”. My imagination races. Paris… France? 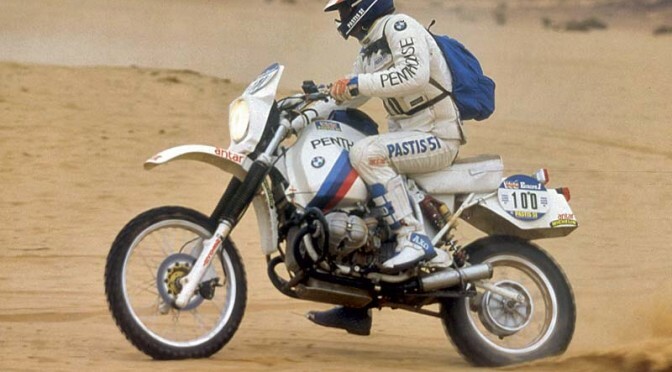 Dakar….. in Africa? How is that possible? Around the Med? Ferries? Week 2? How many weeks is the race? And damn it all, where’s the Week 1 report? Mind spinning, I walk back to my grandstand seat in time for the start of the grand prix, and I’m enthralled with a thrilling race as Watson and Lauda carve the field en route to a stunning 1-2 finish. The car ride back home is filled with discussion of Michelin superiority, the impressive McLaren chassis, and Lauda’s title chances. But that night in bed, I’m looking at that photo of the solo rider. Standing curbside at the Santiago airport, one duffel in my hand, the other on my back, I gazed wistfully to the north where The Dakar now finishes its route. This is as close as I’ll get to it. This time. I glanced to my right and saw the fellow who sat next to me on the plane. He shoots me a dose of stink eye. “He must still be sore,” I muttered to myself. With three hours remaining on the flight, I was returning from the head when a jolt of turbulence threw me off-balance, and I fell into my aisle seat with hand outstretched to catch myself on the center armrest. In the darkness of the cabin, my hand slid off the armrest and, palm open, into the guy´s crotch. Unsure which of us was more horrified, I collapsed the rest of the way into my seat, and let a long moment pass. “Anything I can say to apologize and, simultaneously convince you that was an accident?” I joked weakly. Back curbside at the airport, I gave my seat buddy a hearty wave before I dove into a cab that took me to the bike. I had spent many hours on the Motorcycle Issue. Ship my own? Rent? Purchase locally? With just a few weeks at my disposal, I opted to spin the wheel of fortune and rent from a company that specialized in very low mileage adventure-prepped bikes (we’ll put that reputation to the test, eh?). A Kawasaki KLR 650, the AK-47 of the adventure world, was waiting for me upon arrival. I spent about 40 minutes going over the bike, utilizing my meager mechanical skills to check the chain, tires, pressures, hoses, fluids, included tools and spares, and finally, the odometer. I had it packed within another hour and by noon local time, my South American adventure was underway. Having just finished 16 hours of travel, yet juiced with adrenaline, my only goal was to make it out of the city and get a few miles south. 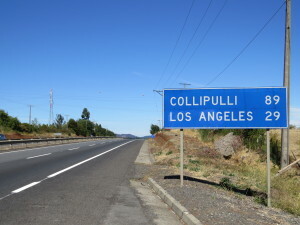 I wanted to put Santiago behind me; I came to see mountains and rain forests and open plains, not some sprawling metropolis with the usual blend of high rises surrounded by hovels. We got all that back home in Los Angeles. WTF? I just left L.A.?!? 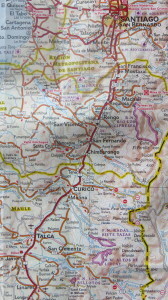 Using 8000 year-old technology perfected by the ancient Greeks, I used a map to find Ruta 5 South, aka the Pan American Highway. 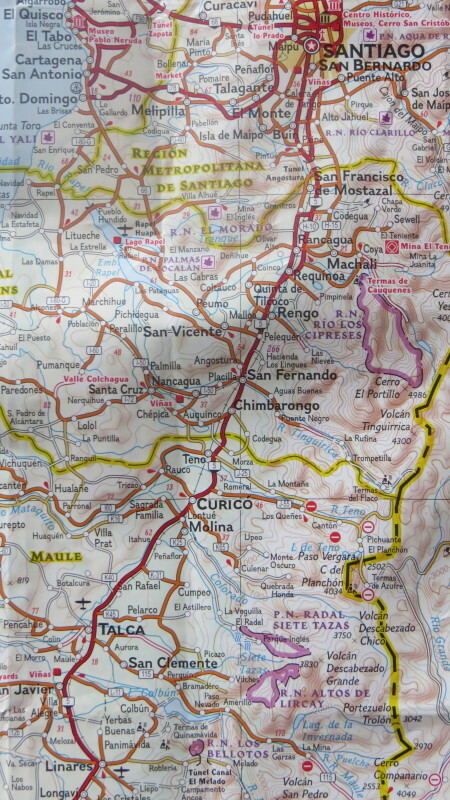 A two hour ride was interrupted only by a stop for lunch, which got me re-energized and I made 190 miles that day, stopping in the small town of Linares. Per my established roadtrip routine, I just rode around until I found a hotel that passed the Eyeball Test. The owner was a charming woman who welcomed me and the bike into a secured locked carport. A quick meal, a quick online chat with my girl, and I turned in for the night, eager to get my normal 6-7 hours of sleep. I awoke 10 hours later. 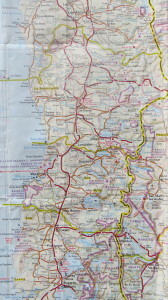 Day 2 and my goal was to reach Puerto Montt, a further 450 miles south. I knew going in that these first two days were just slogs, gateways to the stunning Al Sur. 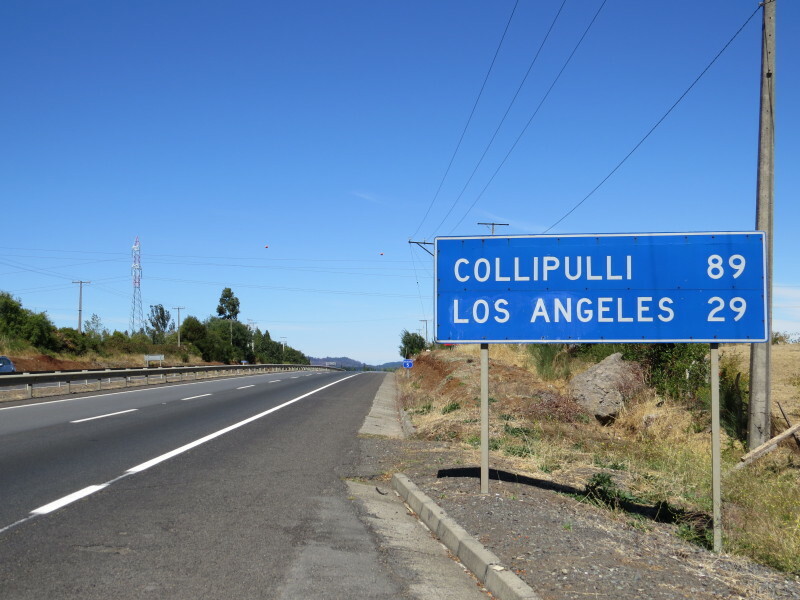 And they were… Ruta 5 south of Santiago is like Interstate 5 north of Bakersfield. Nothing to see here, folks. Closer to Puerto Montt and wide open agriculture was a welcome sight, soon giving way to new growth forests. 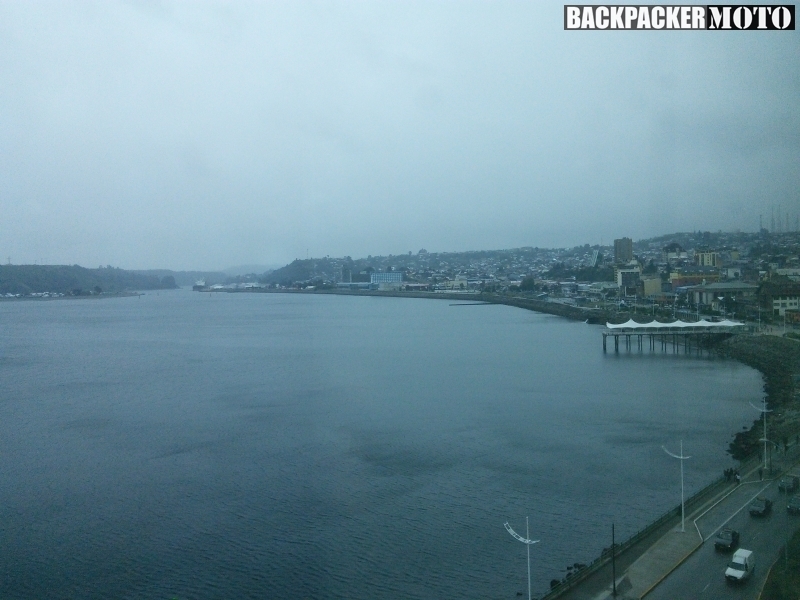 I pulled into Puerto Montt just before twilight with a slight drizzle coming down. With rain and darkness looming, I spotted a Holiday Inn Express right on the water’s edge and, better yet, the headwater of the Carretera Austral, the famed Chilean road and half the reason for coming here. With the ugly highway behind me, tomorrow will be the true start of this misadventure.